A Funk Above The Rest: 2009 - The Year of the Funk! 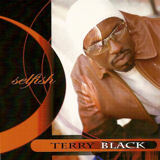 Terry Black on The Web! 9 p.m. to 11 p.m!! In To Our NEW time!! 9 p.m. to 11 p.m.
Click on the CD Cover to Listen to Samples! Buy this CD for $13.00!